View of the Eisenhower Executive Office Building in Washington D.C.. Formerly known as the State, War, and Navy Building because it housed the Departments of State, War and the Navy, the office building currently houses various agencies that compose the President's Executive Office, such as the Office of the Vice President. 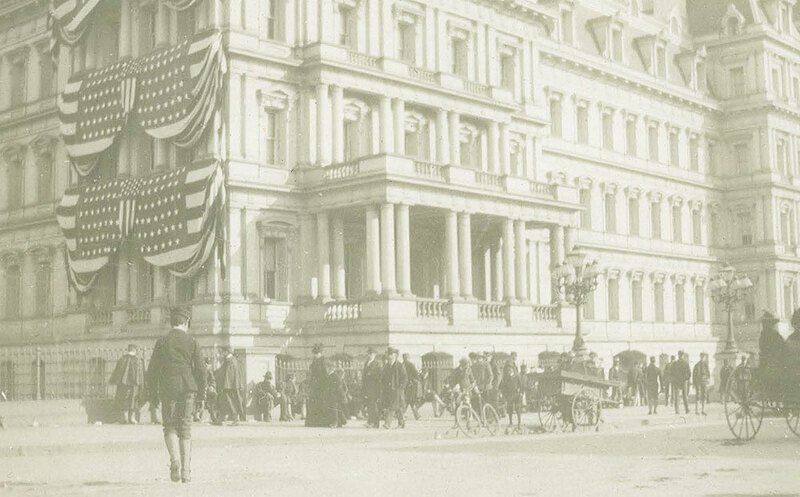 Built between 1871 and 1888, the French Second Empire style building was designed by architect Alfred B. Mullett, and is located west of the White House on Pennsylvania Avenue at 17th Street.